Kimarie Designs jewelry is handmade in Bali, with fair-trade standards and the deep cultural influences of its origin. 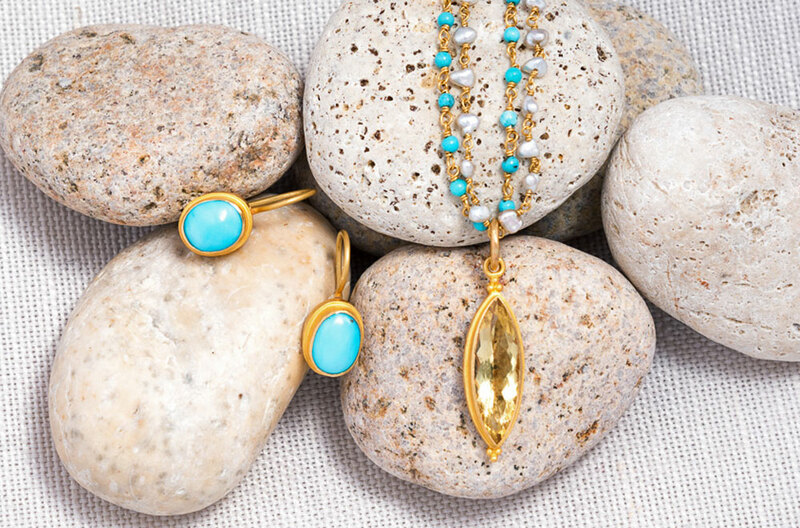 The style is vibrant and subtly elegant, with use of gold and turquoise. The Kimarie Designs Marquis Beryl pendant can be worn with the gold and pearl or turquoise chain necklace. The semi-precious stones would go with the Kimarie Designs turquoise drop earrings.